Athenaeus was a Greek rhetorician and grammarian, flourishing about the end of the 2nd and beginning of the 3rd century AD. 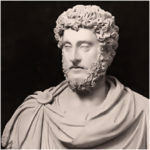 The Suda says only that he lived in the times of Marcus Aurelius, but the contempt with which he speaks of Commodus, who died in 192, shows that he survived that emperor. He was a contemporary of Adrantus.